The front page headline story in today's Arizona [Tucson] Daily Star is about the sale of a land parcel by the Tucson-based Reid Park Zoological Society to Freeport McMoRan Copper & Gold, for $3 million. Freeport has not said what their plans are for the lands and others they already own in the area. 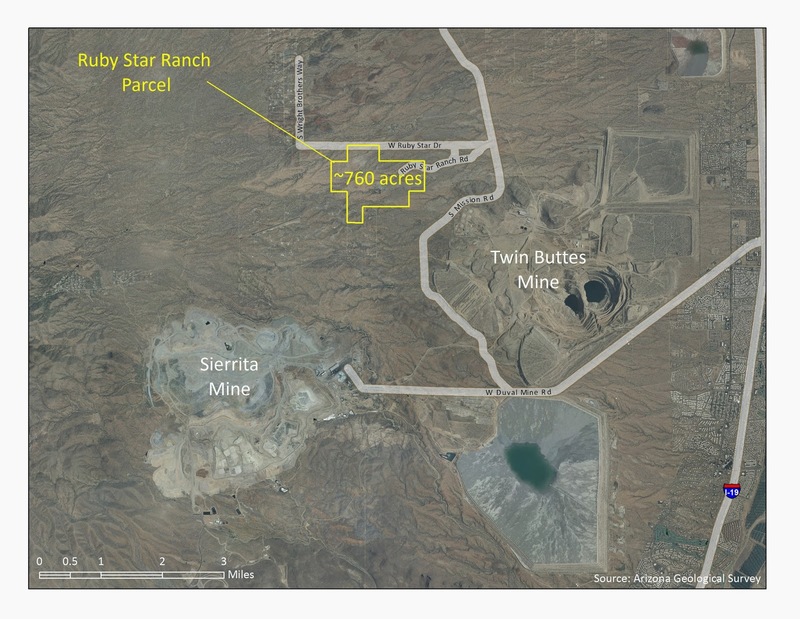 In December 2009, we purchased the Twin Buttes copper mine, which ceased operations in 1994 and is adjacent to our Sierrita mine. The purchase provides significant synergies in the Sierrita minerals district, including the potential for expanded mining activities and access to material that can be used for Sierrita tailings and stockpile reclamation purposes. We are conducting drilling on the property and metallurgical studies to support a feasibility study expected to commence in 2012.